There was pomp, colour and essence as actors and actresses in Nigerian football put out all the stops in honouring former international defender, former Secretary General of then NFA and one–time member of the Nigeria Football Federation (NFF) board, Chief Taiwo Joseph Ogunjobi ahead of the final interment of his remains today. 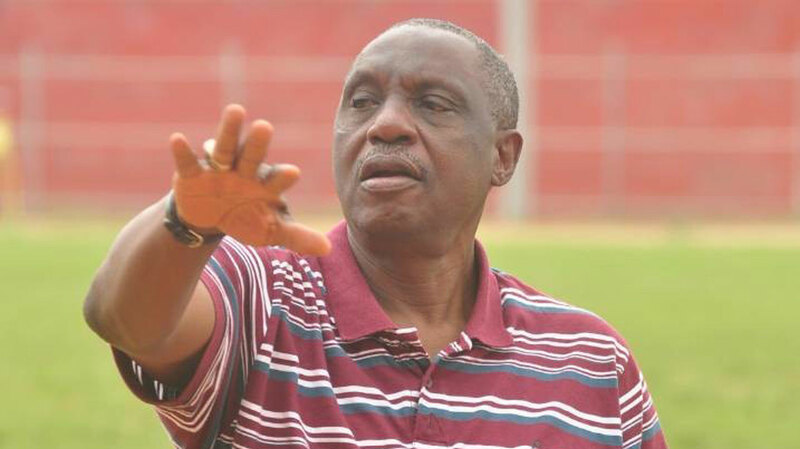 The rites of passage began on Tuesday in Oshogbo, capital of Osun State, where he served as Chairman of the State Football Association until his passing, with some youth football and tributes, before the train headed for Ibadan, the largest city in West Africa, capital of Oyo State and the town where Ogunjobi spent most of his lifetime. At the symposium were Akinwunmi; NFF General Secretary, Dr. Mohammed Sanusi; NFF’s zonal coordinators led by the Chairman of Chairmen, Alhaji Ibrahim Musa Gusau; former NFF President, Gen. Dominic Oneya (rtd); former NFF First Vice President, Mazi Amanze Uchegbulam; former NFF General Secretaries, Dr. Bolaji Ojo-Oba and Ambassador Fanny Amun; two–time Head Coach of the Senior National Team, Chief Adegboye Onigbinde; President-General of the Nigeria Football Supporters Club, Dr. Rafiu Oladipo; former international players, Dr. Felix Owolabi and Mutiu Adepoju and; senior stakeholders of the game from far and near, including Mr. Ade Somefun. Yesterday, a football match between a team of Ambassadors and Family United By Sports at the Lekan Salami Stadium ended 2-1 in favour of the former, and in the evening, a lying-in-state provided opportunity for prominent stakeholders, including board members of the NFF, NFF management, NFF staff, current and past bigwigs in the game, former international players and administrators to bid Chief Taiwo Ogunjobi goodbye. The remains of the amiable administrator will be interred at a private cemetery in Ibadan this morning.